I am sitting at my desk, keen to catch up with unanswered emails and piles of work that were left behind. The last two weeks have been really busy. Not unusual, is it? December was filled with time spent with family and friends, the first winter snow storm that kept us cozily inside for a few days, Lulu discovering the joy of sledding–and lots of long lunches and dinners. In fact, this afternoon is really the first quiet one in a while, without food on the stove or shots to be taken. It feels sweet and gentle. And at last, I am able to realize that we are in 2011 indeed. I never thought I would be too busy to see 2011 arrive. So fast. Almost unexpectedly. I wanted to gather my thoughts and reflect on the past year. Lulu’s second year. Amazing. 2010 was the year when she learned to walk; swim and make bubbles; run; eat risotto; laugh loudly and heartily; stretch into down dog pose; sing while reading Llama Llama Red Pajama over ten times on the sofa; feel the soft sound of snow pressed under her feet; dance and jump high while listening to the beat of Nothing Lost by The Cry on the stereo. I could never have imagined that two would be the age when she’d run to grab our hands and reach the stereo, repeating “Danse ! Danse !” with her eyes lit with excitement. It presented itself with wonderful things. Thank you, thank you! But it also brought sadness and difficult times. Intense at all levels. Physical. Emotional. Going hand in hand. I was not prepared. We never are. But in the end, 2010 showed us, me, that we have incredible resources inside when we need them the most. It also taught me how lucky I am to have Lulu, family and friends around. With a high dose of love, and food inspiration. In January, P. sold his company and started a new work adventure, which kept us home for the first months of the year. 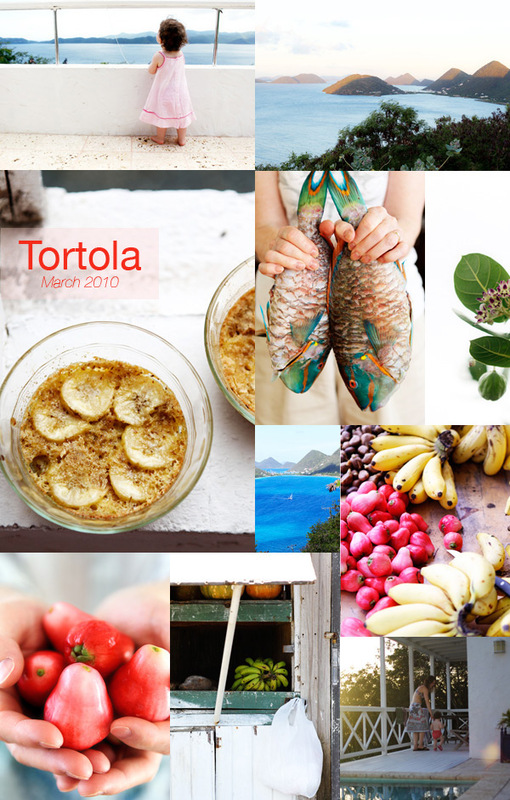 I continued to work on my cookbook–I promise, it will happen!– and other cooking and photographic projects. In February, my parents visited us and in March, Lulu learned to walk. A new world started right there. For her to explore. For us too. At the end of March, we traveled to the island of Tortola in the Caribbeans where we indulged in a relaxing vacation. There was a lot of work involved too: the delightful collaboration to Fog Linen; writing for the Boston Globe; and shooting for Boston Magazine and The Improper Bostonian. 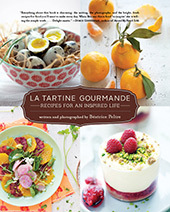 In March, too, La Tartine Gourmande was featured in the French TV documentary Envoyé Spécial la suite. I am still in awe that it happened for real. In April, we started to think seriously about moving and finding a new house. We packed and sold ours. When we eventually found a new house to buy, we were scared and excited. It had a space for a potentially new kitchen and a large garden in the back. In May, we traveled to France where we had a wonderful reunion with family and friends to celebrate Lulu’s christening. There, Lulu ate her first cherries picked right from my father’s cerisiers. My mother introduced her to the world of croissants, pains aux raisins, radishes, salade de carottes râpées, venison and rabbit. When September came, we moved out of our house once again, this time to start the long renovation of the kitchen. 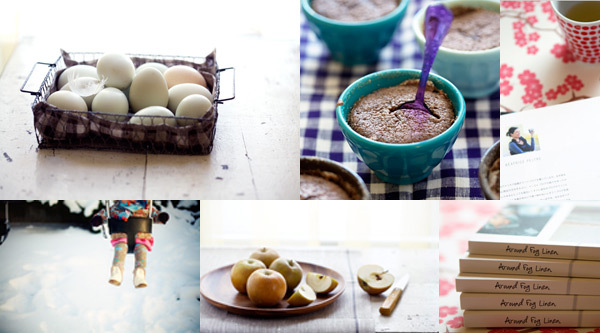 I traveled to New Hampshire to teach a food styling and photography class at Squam. October was spent working on the final revisions of my cookbook manuscript while Lulu started to go to daycare a few days a week. I was relieved to see she loved meeting new faces. And was good at it. Then, by the end of November, we finally moved back to our house, which left December for unpacking boxes, family visits and celebrating Lulu’s second birthday. And amongst other food projects, I was able to work with super talented Francine Zaslow and Jo Packam. I really thought that, in the midst of 2010’s craziness, this could well have translated into less time for me to spend cooking in the kitchen. I dreaded that it might happen, in fact. There was always an incredible amount of dishes and food prepared out of the kitchens I visited. Whether it was in the spacious house we rented in Belle-Ile en mer; in my mother’s or sister’s-in law kitchens; in the small apartment where we temporarily lived for three months–and eventually in my new cooking space. Oh, it’s such a happy space! Creating food kept me together. Pushed me forward. So there we are. Bonjour 2011 !. I am still not sure what 2011 keeps for me this year. And frankly, I don’t want to either know too much or make big plans. But instead, I want to live in the moment. Now. Enjoy Lulu’s new discoveries of life. 2011 will be the year when she goes to la maternelle. It will be the year when we also hope to travel with her even more, to show her more of the world we love. I am blessed to have a loving husband, an adorable girl in love with life, a great family, my work, my blog. And all of you who have stayed and come back patiently despite a year busier than I had anticipated. I wish you all a fantastic new year. I hope it’s filled with a lot of incredible things. Laughter. Food. Everything you hope for. We finished 2010 with a tiramisu. I wanted to start 2011 with another one. Because that’s a very good recipe in my opinion! But also because I’ve just discovered that Lulu really loves when I bake ladyfingers. On Sunday, after we returned from the Children’s museum and a lunch made of soup, salad and crusty bread at Flour’s, she stood quietly on her tiptoes by the kitchen island to grab a few ladyfingers I had left to cool. When P. and I eventually took notice as she walked by us with one cookie in her mouth, she was smiling with pride. As to us, we could not help but burst into laughter. Preheat the oven to 350 F and have a large baking sheet covered with parchment paper ready; set aside. In a bowl, beat the egg whites with the vanilla and flour and sugar. Add the melted butter. Let rest for 15 minutes. Using a small pastry brush, make 3-inch circles on the parchment paper. Sprinkle with sesame seeds. Cook for 6 to 7 minutes, or until golden in color. Remove from the oven and using a spatula, transfer the tuiles to a cooling rack. Repeat until you run out of ingredients. These can be stored for a week in an air-tight container. In a bowl, beat the egg yolks with the sugar and vanilla. Place the bowl over a pot of simmering water and continue to beat until the batter is light in color and doubles in volume. Beat in the mascarpone. Let cool slightly. Whip the egg whites firm with a pinch of salt and fold them in the egg batter. Have four small water glasses handy. Take 1 ladyfinger and dip it quickly in the coffee. Coat the bottom of the first glass with it, cutting it in pieces if necessary. Repeat with the other glasses. Cover the layer of ladyfinger with mascarpone cream and repeat another layer of ladyfingers (dipped in coffee) in each glass. Finish with the rest of the mascarpone cream. Cover each glass with plastic wrap and place in the fridge for at least 5 hours (or overnight, which is what I always prefer to do). When ready to serve, dust each glass with cocoa powder and serve with the tuiles on the side. 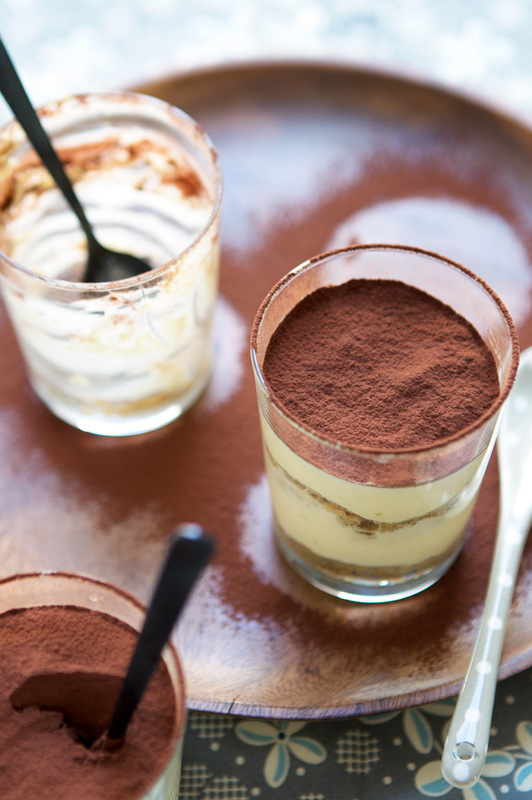 Note: I prefer my tiramisu without the addition of marsala or rum. It’s a question of preference. Beautiful recap. Happy New Year to you and your family. Wishing you love, health and happiness in 2011. 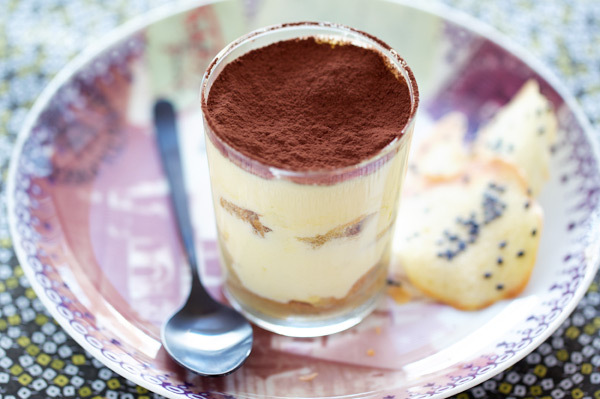 And the tiramisu looks great too. Thank you for your beautiful and inspiring words, photos and recipes. It is always a delight to catch up on what you have been doing and drooling over the yummy recipes that you create! Happy new year Bea to you and your family. What a year you have had bea. Cookbook, other work, workshops, travel and family. You should be so proud of yourself. The recap is so beautiful and love remembering through the collages. Can’t wait for the book and whatever else awaits you. It will be wonderful. Happy 2011!! Happy New Year, Bea! My son is one month younger than Lulu and your words could not have described any better the joy we have had with him this year. Comme Lulu, he too loves “Danse”! I wish you and your family a prosperous 2011 and will be looking forward to your book and more yummy entries on this blog. What a nice post.. my family is from Loire Valley, and would love to visit the chateaux there again..
Beautiful post to reflect on 2010… Bonne annee Bea! Que 2011 t’apporte tout ce dont tu reves. 2010 is the year I discovered your blog and I’m very thankful for that 🙂 Good luck with 2011, health and happiness to your family. Can’t wait for your book! congratulations on everything Bea! I always love your blog, your writing and your photos! My favorites would have to be those in which little hands are actively participating. They reel us in to where we ought to be. Your most beautiful post yet, so creative! I love your photography. I hope you and your family have a safe and wonderful 2011. I can’t wait for more of your blog entries. Best wishes for a great 2011, Bea. 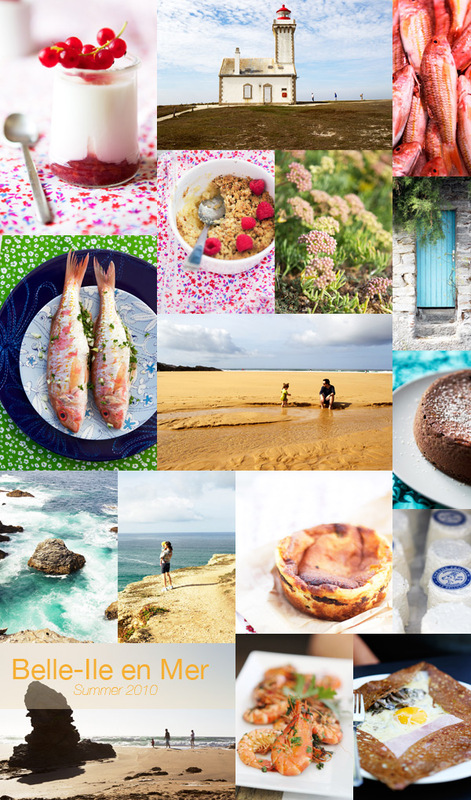 It’s so nice to look at the color palette that your photos have taken in the past year, so cheerful and full of light. It’s always a pleasure to peek into your world. Quelle magnifique année pour toi fut 2010! Je te souhaite le meilleur pour 2011, mais j’ai comme l’idée qu’elle sera remplie de projets, d’aventures, de rencontres, et de 1000 découvertes! En tout cas j’aime toujours autant ton blog et ton style, ne change pas! Et j’ai super hâte de voir ton livre, as-tu une idée de date de sortie? whenever i see your pictures and read your text it leaves me with a wide smile and an open heart … what a wonderful gift …. thank you for your inspiration and your warmth! lots of laughter, happiness and surprises for the new year! Excellente année 2011 Béa, remplie de bonheur et de couleurs ! Une superbe revue de l’année 2010 et quelle année ! Happy new year, to you and your sweet family Béa! Thanks for your inspiring photographs! They are just perfect! I would love to have a calender with your pictures, so I can enjoy them all day just by looking at the wall. Dear Béa, I send you my warmest wishes and my gratitude for your wonderful site, that always chears me up. 2010 was the year we experienced our greatest loss, but it was also the year that brought us our happiest expectation, our daughter (in tree months!…). PS: And of course, one of my greatest wishes for 2011 is the publishment of your book! Thanks for this marvellous post. The best recap of a year I have seen! Gracias, gracias, gracias. I wish you a happy new year!!! I finished the year with a tiramisu, too!!! Dear Bea, your blog is magnificent and always brings a big smile to my face! Happy 2011 to you, P. and Lulu. May you experience countless magic moments and have all your wildest dreams come true this year! Best wishes from New Zealand. Your photography is absolutely fabulous. You have obviously chosen the photos with great care so that there is a colour theme, and the effect of the collages is just wonderful. Well done you is all I can say! Super!Really really super! I wish 2011 bring to all of us joy, prosperity and good health. Those pictures are amazing. And it was great to welcome the new year with a beautiful tiramisu, my favourite dessert, I love it, love it!!! Good luck. Bea – I stumbled upon your blog a couple of months ago, and am in love. I am just learning how to use my SLR camera properly, and am in awe of your bright, colorful, cheery and gorgeous photography. I wish that I lived in the Boston area now and could take one of your classes (we recently moved from Salem, Mass to a small town near Amsterdam so my husband could attend school here). I have so many questions! (What kind of lenses do you use? How do you get your photos so bright and cheery? Do you edit much in PS?) My next step is to read through some of you old posts in your photo section. Your positive and cheery outlook on life are inspiring as well, and the recipes, well all I can say is *drool*. 🙂 Each one is inventive and impossible to refuse. I am so thrilled that I found your site, and have shared it with several dear friends recently. Thank you for the beauty and joy that you put out into the internet. It’s inspiring. Best wishes to you and your family for 2011! Thank you for sharing your year at-a-glance with us. Although I have been diligently following your every adventure, I didn’t realise this year you had travelled so much! I’m definitely very envious. I want to model my lifestyle like yours. Work with play and in general more time to enjoy the finer things in life, like travelling and cooking with FRESH produce! Une très belle année à toi et aux tiens, je suis sûre que tu vas nous concocter des merveilles dans ta si jolie nouvelle cuisine. A lovely summary of 2010… elegant and ethereal, as always. Beautiful (captivating) photography, genuine prose, fabulous simple and delicious recipes, and a wonderfully deft balance between personal and informative. Looking forward to more in 2011! What gluten free flours did you use for your lady fingers? Happy New Year, and thank you for all the hard work and commitment it must take to keep your blog going so beautifully. I wish you a very happy new year. 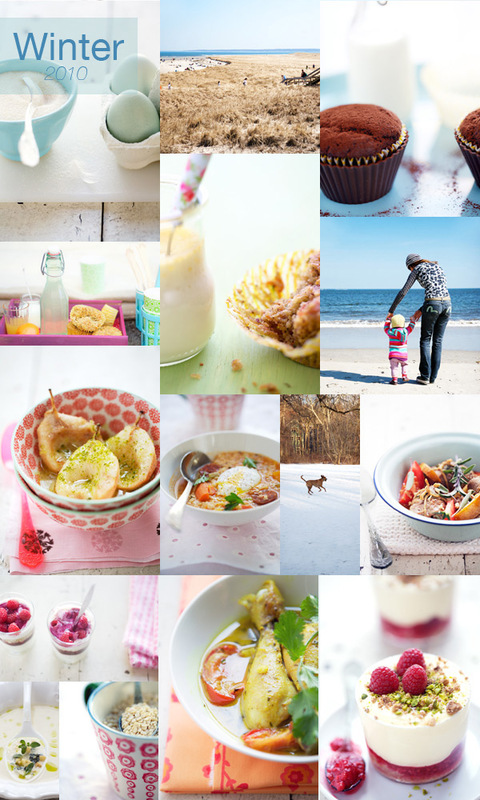 Thanks for sharing these beautiful pictures and recipes. Happy New Year Bea! Thanks for all you give to us: colors, life, joyful, light and positive energy. Je te souhaite tout le meilleur pour cette nouvelle belle année et merci de partager ces moments avec nous. these pictures are flawless, simply amazing. 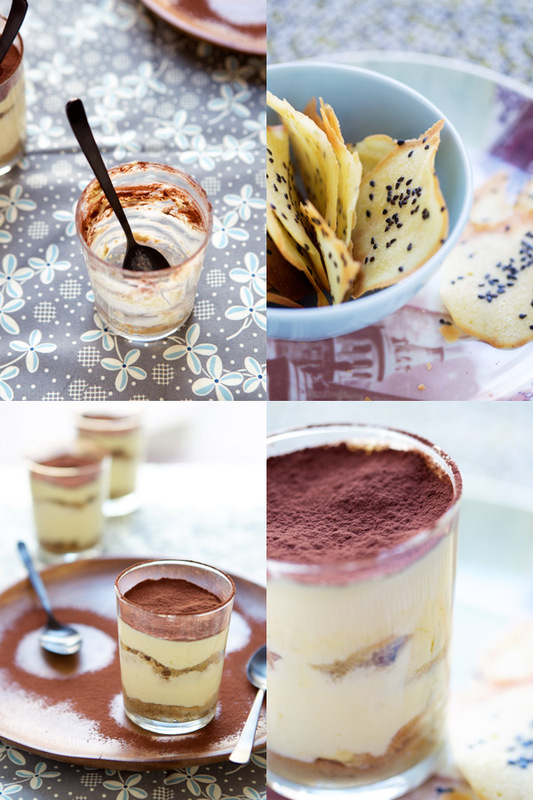 love your blog excited to see more – this tiramisu looks insane! Happy New year to you and your family! May this year bring you good health, peace, happiness, success and prosperity! So much love, happiness and beauty but also tant de reconnaissance et d’optimisme. Once again thanks to you and have a wonderful year the three of you. Happy New Year Bea, from Thailand where we have been with my family enjoying the warmth and sunshine. And of course, Thai food! Wishing you and your family all the best. oh bea i just can’t get over the beauty of this post, your year. What a nice recap of 2010 Bea. Your year was indeed busy and full of lovely moments with your family which I think is very important. I can’t wait for the cookbook to come out. Your words and photos are always an inspiration to me. Happy New Year to you and your family! de si jolies photos et un très beau résumé de l’année! j’ai justement fait du tiramisú en verrines pour le dessert à noël 🙂 c’est un dessert si rapide à faire et siiiii bon qu’on aurait tort de s’en priver!! such a beautiful recap, bea! wishing you and your family all the best for 2011! bonne année! Hello Bea, Happy New Year to you and your family! I was wondering, since your pictures are so beautiful and the lighting always looks perfect, do you use any special equipment to get that effect? What a gorgeous, gorgeous post! Happy New Year Bea! Je te souhaite une excellente année Béa et j’espère avoir le plaisir de te voir en France. Vivement la sortie de ton livre, tes photos me font toujours réver. Bises. Thank you everyone for your kind words! Très très bonne année à vous tous! Thanks for sharing—I enjoy your blog/photos immensely. Your blog is such a joy to browse through! The photos are so beautiful – the colors just pop! Truly enjoyed reading through this post. The photo collages are incredible! It’s always wise to take the time to reflect on our prior year as we gear up for the new year. It means so much to who we are, and who we are to become. Seems you have a good handle on that. Happy New Year to you & your beautiful family!! Quelle belle retrospectives! revoir toutes ces magnifiques photos, c’est un plaisir… vraiment comme je suis heureuse de ces pages avec lesquelles tu nous enchantes, lire ta simplicité et ta vision de la vie… merci et très belle année à vous trois! What a wonderful blog, wow!!! It can inspire anyone, Beautiful photos, relaxing and amusing words. I love your photos and your food! It is very beautiful and looks delicious. I am am curious, in the bottom right corner of the “Winter 2010” collage, there is a picture of what looks to be a dessert (custard perhaps?!) with pistachio nuts and raspberries on top. I have tried searching your website, but have not found this picture anywhere else. Is is something new? Or just something I haven’t found yet in my searches?? Much appreciated. Thank you everyone. Merci encore! 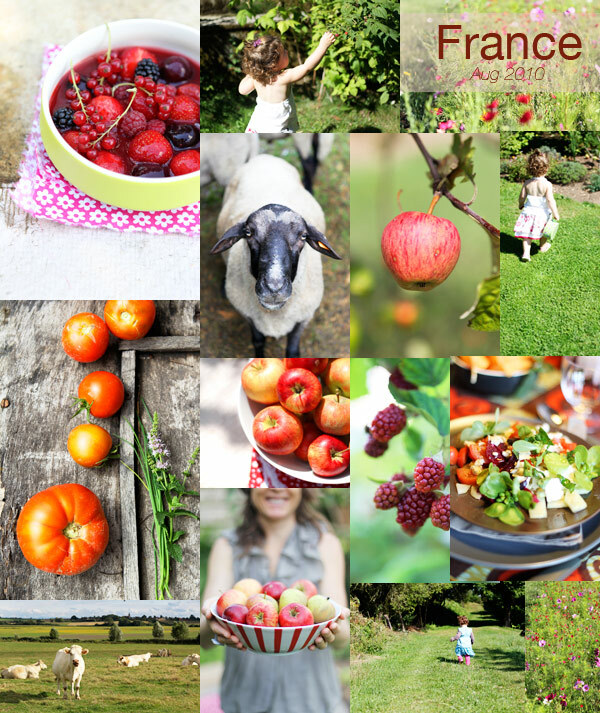 I cannot tell you how much I have enjoyed your blog, writing and photography this year. It has inspired and calmed me so many many times. Thank you very much and all the best in 2011. What a delicious year you had! Your post left me smiling at how wonderful food tells stories. Even without your prose the pictures told of adventure, family, travel, joys, firsts, families and amazing food experiences to give flavor to all of those. Thank you for sharing. I am enamored by the passion you have for life. La Dolce Vita. Joie de vivre. You name it. Your photography is surreal and takes me to a world I long to escape to. 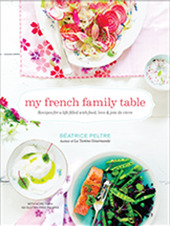 Can’t wait for your cookbook!!! 🙂 Wishing you another memorable and wonderful year ahead Bea! 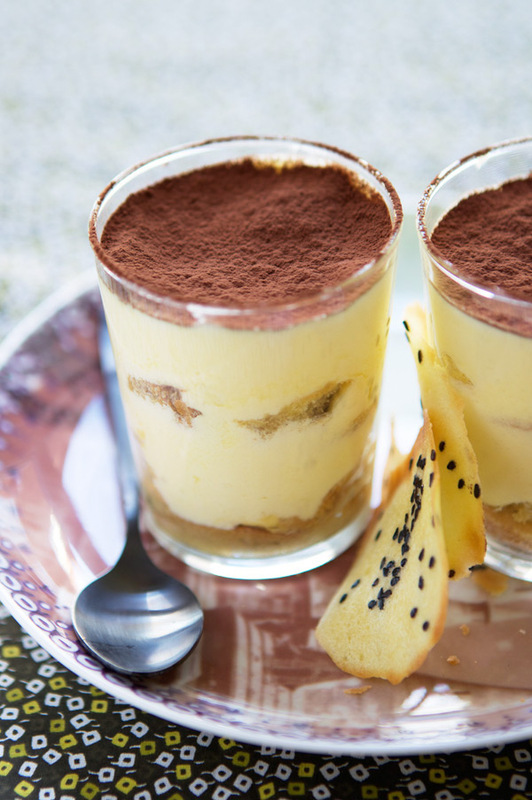 J’adore tiramisu! The recipe was divine, I made them last night for dessert. I am so happy I stumbled upon the enchanting La Tartine Gourmande. Thanks Corynne. Delighted to hear you liked the recipe! Thank you, once again Sara, Heather, Erin…everyone! You have a very wonderful passion and I supposed you are very happy sharing it with the one you love and other people… the photos are so amazing. I am inspired actually upon seeing all of those things. Life is really beautiful and we should enjoy and do what we love. Wow, your pictures are so beautiful. I just love them! Tres en reatrd, comme toujours je cours apres le temps, je tenais quand meme a te souhaiter une tres belle annee 2011, aussi belle, coloree, et pleine d’emotions, si possible, que les annees precedentes. Continue de nous enchanter de tes images pleines de poesie. what are those gorgeous black spoons and where do they come from? What a nice post. It really was a busy but inspiring, generous year. Was happy to have your blog to come to – it’s such a peaceful and delightful place. Thank you. May the year 2011 be a wonderful one! … for the gluten free version of ladyfingers… did you just substitute flours for the all purpose? and what flours did you use? J’aime beaucoup tes photos. Elles sont vraiment magnifiques. 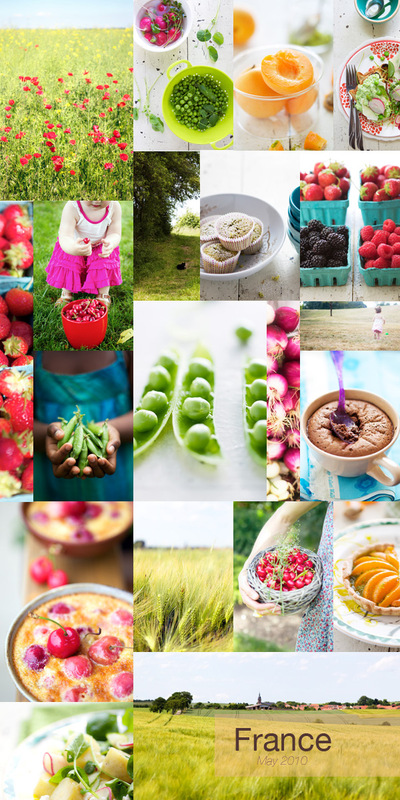 Pingback: 10 Stunning Gluten Free Recipes - Perfect for Fall!